MEXICO CITY – In this week’s edition, Tiger Woods adds to his comeback schedule, Francesco Molinari adds fire to the pace-of-play conversation and some parts of the early distance debate simply don’t add up. Mind and body. There have been plenty of benchmarks in recent weeks that suggest Tiger Woods is heading in the right direction. His grinding tie for 23rd at the Farmers Insurance Open with something less than his best stuff tee-to-green and his 12th-place showing last week in the Honda Classic at PGA National, which is one of the PGA Tour’s most demanding layouts, both qualify as progress. But on Friday the 14-time major champion demonstrated an altogether new level of headway, committing to play both the Valspar Championship and Arnold Palmer Invitational. Bay Hill, where Woods has won eight times, was an easy choice, but his decision to play next week’s stop at Innisbrook Resort for the first time in a non-team event is a measure of his commitment. For a player who has largely stuck to the same schedule, albeit with unparalleled results, adding Valspar to his comeback is a sign Tiger has embraced a whatever-it-takes mentality. Feeling at home. A year ago, Xander Schauffele was playing the Puerto Rico Open, the opposite-field offering held the same week as the WGC-Mexico Championship, and fighting to keep his Tour card. Since those humble days, he’s won twice including his walk-off at the season-ending Tour Championship, been named Rookie of the Year and emerged as yet another player to watch from the high school class of 2011. Now he’s taking the next step in what’s turning out to be an impressively small learning curve, opening with rounds of 65-68 to hold a share of second place at Chapultepec Golf Club. And fans should start getting used to hearing the 24-year-old’s name at the biggest events – that’s SHAW-fa-lay. 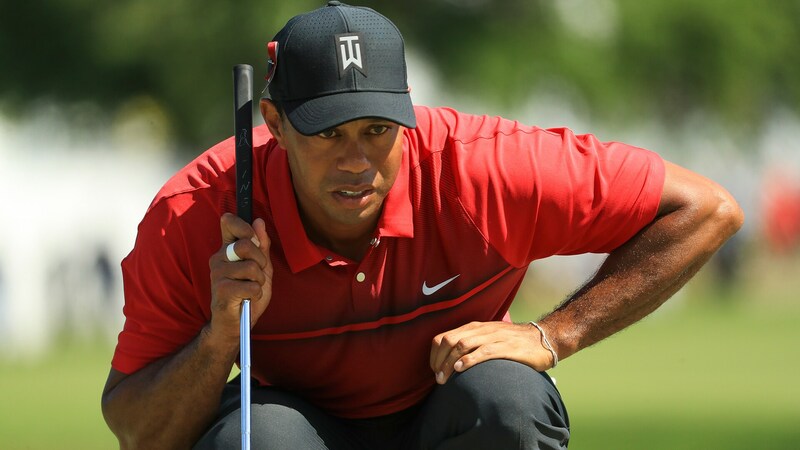 “Tiger mode”: Having Woods in the field at any event is a boon for tournament organizers – just ask the folks in Los Angeles or at the Honda Classic – but landing the game’s main event for the last two decades can be game-changing for a tournament like the Valspar Championship. It wasn’t that long ago that the Tampa-area event was on life support, searching for a title sponsor and stuck with a date that did little to attract a deep field. That reality has changed dramatically, with a sponsor committed through 2020 and a field next week that will include Woods, Jordan Spieth, Rory McIlroy, Sergio Garcia and Henrik Stenson. Innisbrook has always been something of an underrated gem on Tour, but it no longer can be overlooked. Fan interest. Maybe Justin Thomas could have handled the situation differently, but considering the circumstances he had nothing to apologize for following an incident on Sunday at the Honda Classic. A day after winning his eighth Tour title, Thomas sent out a series of tweets explaining and apologizing for asking for the removal from PGA National of a fan who had rooted for his golf ball to find a hazard. “I over reacted and should not have had him kicked out,” Thomas tweeted. Perhaps Thomas got carried away in the heat of the moment, but most agree fan behavior is becoming an issue on Tour and his actions are, at worst, the wrong execution of the right idea. No apology needed. Although to be accurate, there was a flurry of late additions to the field at the Valspar Championship – including Spieth – and Randolph, who was bumped to first alternate, could have been the victim of numerous scenarios, but it’s eye-opening when a professional whose competitive fortunes are impacted can still appreciate the significance of Woods playing Innisbrook. Distance yourself. As the golf world readies for the annual distance report that should be released by the USGA and R&A any day, it seems some have started the hyperbole early. Various stories this week laid the groundwork for what many think will be outlined in the report, essentially that last year average driving distances went up 2 ½ yards on the PGA Tour and a staggering 6.9 yards on the Web.com Tour. One report went so far as to study driving distances for this season, which is wildly misleading considering the circuit hasn’t played the year’s first major and the Sentry Tournament of Champions, which historically produces many of the year’s longest drives, skews the limited data pool. What these reports don’t acknowledge is that the 2 ½-yard gain on the PGA Tour isn’t even the greatest jump in the last decade. That occurred in 2011 when the average drive jumped 3.6 yards. It’s also worth noting that last year’s distance report essentially stated that driving distances have remained relatively static over the last decade. The distance debate promises to be a hot topic over the next few months, but using limited, or in some cases incomplete, data to form an opinion is as misguided as it is wrong.